Billions of people celebrated the Royal Wedding of Prince William and Miss Katherine Middleton. Its success was largely a result of innovation strategy for the wedding; which managed to cleverly bridge the gap between royalty and the commoner and created a coming together of people from everywhere to celebrate in this couple’s joy. The fresh, youthful and innovative approach for this wedding was evident in almost all aspects of it. From the invitation list that featured the couple’s favourite pub owner to their social media site and the special disco party at Buckingham Palace on the wedding day. Staying open to ideas, crossing barriers and erasing old thinking styles allowed for innovation to occur. As a result, the entire British Royal Family will reap the benefits of the new, modern, hip image that William and Kate represent. In many organizations, much like traditional institutions, such as the British Royal Family, change is hard to make happen. There are many examples of individuals who have great ideas but do nothing with them. And, unfortunately, their organizations do not even know about them. These ideas are simply lost or die because their creators kill them! There are various reasons for this. Perhaps the innovator recognizes that the idea may negatively impact their job, or that of their coworkers? Or, the innovator may discard their great idea because of uncertainty as to how to explore the idea to take it from a vision to a reality? Or, it is possible that the innovator may feel that no one will ever agree to it? Just how many of your company’s innovative ideas die or go nowhere? To protect innovative ideas, organizations can choose to create a forum for the Innovation Process to encourage employees to submit their innovative ideas. Once submitted, ideas can be assessed and linked to overall business improvement strategies for final implementation consideration. The biggest challenge for organizations regarding innovation is not so often the identifying of ideas, but rather, it is in trying to facilitate, nurture and support the innovation process with clear and effective processes and tools. Remember innovation is perishable—it has limited shelf life expectancy due to changes in customer expectations, market and business conditions. Therefore, simplicity is a key to success, so that good ideas can be moved from vision to reality quickly in a straightforward and organic way. This is not to say that a consolidated team effort is not required to explore, assess and implement them. Rather, it is to make sure that a clear and concise process and effective tools are in place to move the ideas from vision to reality in a timely manner. The ultimate goal of innovation is to create and introduce new products and services, strategies, structures and processes that generate new sources of value and growth for the organization. Brainstorm Ideas. No matter how “crazy” they may seem and without restriction or analysis. Record these on post-it notes, in your computer, on paper. It doesn’t matter. These ideas may come to you while driving (digital recorders are great), in the shower (waterproof paper? ), while day-dreaming or whatever. Organize them into groups of similar related ideas. Create Your Innovation Team. Pull together resources from different parts of your organization. These will be individuals from different departments and different levels. The mix of individuals will ensure the ideas are viewed from both the technical and creative perspectives. Consider including those who will be impacted by the innovations. Ensure Every Idea is Valid and Retained. There is no elimination of ideas, rather, just consolidation of ideas into groups. For example, ideas related to a specific product or service or structure or process will be combined but not eliminated. Now you can begin exploring these groups of similar related ideas. Have the team add to these ideas. Identify the benefits of each group of ideas no matter how “crazy” they may seem. 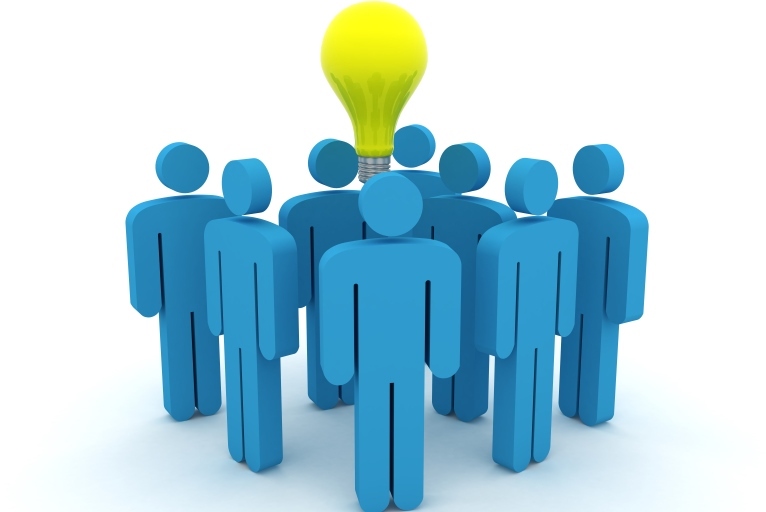 Listing the benefits of the ideas, if implemented, under each category or group will ensure the innovations can be realistically moved forward. What are the benefits to the organization, the customer and/or the department? If you think for a moment of the greatest inventions of all time you’ll probably think of the light bulb, electricity, the phone, the car, etc. But these were just ideas. Before moving forward with all of the ideas, which led to these “group of thoughts”, the inventors spent time thinking about the benefits. Then they were ready to move into the next stages of this innovation process. Exploring the benefits of your groups of ideas helps identify why you want to move forward or not, as may be the case. Recognize the obstacles or barriers to implementing the ideas and identify how to overcome them. Realistically, there are barriers or obstacles to implementing any of the ideas and groups of ideas, despite their benefits. These can be as fundamental as budget, history, culture, time, resources, etc. They may be more advanced such as technology, organizational structure, departmental layouts, etc. The Innovation Team will now begin to brainstorm all of the obstacles and discusses how to overcome most of them. This does take some time but it helps the team members to see the potential. It is a very positive experience. Rather than looking at why an idea can’t be moved forward they discuss the obstacles and more importantly, what can be done to overcome these obstacles? Implement the ideas. You are now almost ready to implement. The team will have worked hard. They will have brainstormed the innovations, grouped them, identified the benefits and found ways to overcome the obstacles. Now they’ll be ready for the last stage of this innovation process. This stage is where some understanding of project management helps. The Innovation Team will identify the actions required to ensure their innovation successfully moves from their vision into reality. They’ll prepare themselves to present their ideas and the innovation process they followed to ensure they can be successfully implemented. They’ll deliver this presentation to their management for approval and next steps. This is a great way to get started on the journey into innovation. However, for organizations to truly benefit from the power of innovation the leaders need to spend time to also develop the strategy and culture for innovations along with the process. This three-pronged strategy in combination is what will generate a more robust process to drive significant innovations in product and service delivery.